WASHINGTON – Former Senate Majority Leader Trent Lott said he supports a proposal to reduce post-cloture debate time on lower-level judicial and executive branch nominees. “I do think it’s time,” Lott, a Mississippi Republican, said in an interview with TMN on Friday. Cloture is a procedural tool used to cut off debate. It generally requires 60 votes. After cloture is invoked, up to 30 hours of debate time is allowed before a final vote on the legislation or nominee. Lott said both political parties have abused post-cloture debate time. On Thursday, Senate Majority Leader Mitch McConnell (R-Ky.) set in motion debate on a precedent change that would reduce post-cloture debate time to two hours. His proposal is expected to come to the floor early next week. The precedent can be changed by a simple majority vote; however, 60 votes are needed to cut off debate on the proposal. Republicans have 53 seats. Democrats have 45 seats plus two independents who regularly vote with the minority party. The precedent change would not affect high-level judicial and executive branch nominees, such as appointments to the Supreme Court and the president’s cabinet. Senate Republicans used the “nuclear option” to confirm Neil Gorsuch and Brett Kavanaugh to the Supreme Court. That allowed for cloture to be invoked with a simple majority vote. McConnell contrasted the 128 cloture votes that have taken place since President Donald Trump took office in January 2017 with the 24 cloture votes that took place during the previous six presidential administrations. McConnell noted that 42 of the cloture votes that have taken place under Trump were for low-level positions, such as administrator of the Federal Railroad Administration. The agency is headed by former railroad industry executive Ronald Batory. Senate Minority Leader Chuck Schumer blasted the proposed change on Thursday. “Sen. McConnell’s approach has always been to manipulate Senate rules when it helps him and then change Senate rules when the tables turn; this is just another step in his effort to limit the rights of the minority and cede authority to the administration,” Schumer (D-N.Y.) said in a statement. Lott is senior counsel with the D.C. lobbying firm Squire Patton Boggs. He served in the Senate from 1989-2007. 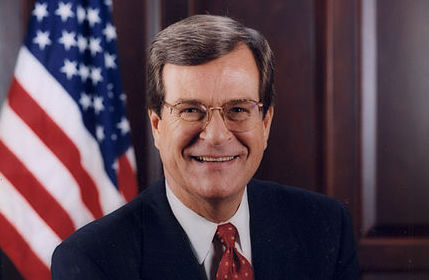 Lott was Majority Leader from 1996-2002. He had previously served as both Senate Republican Whip and House Republican Whip.